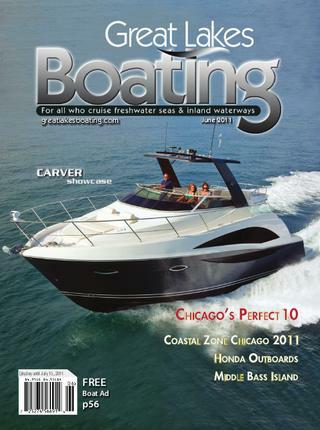 “All the class at half the cost.” Read about PlasDECK’s new Eco Series product in the Spring edition of Great Lakes Boating magazine, read it online here, or check out a text-only version of the article below. How would you like to get half off regular price for alternative teak boat decking? In the past year PlasDECK has developed and started supplying a new line of boat decking products made from recycled production scraps. According to PlasDECK’s international sales coordinator, Jennifer LittleBear, customers pay up to 50% less than they would buying the original decking material. Environmental motivations have always been a concern; the parent company of PlasDECK is PlasTEAK, a family-owned company which has been producing recycled plastic products including boat decking for 23 years. It was only a matter of time before a more eco-friendly version of PlasDECK was developed. “We really wanted to be able to reuse and recycle our leftover material,” said LittleBear.